For those small businesses that have employees taking to the wheel to meet with clients, make deliveries, attend conferences etc. safety should always be the focus. Oh, making sure they are working too doesn’t hurt. With that in mind, what are you doing as a small business owner to make sure your employees are not only safe when they get behind the wheel for work-related activities, but are also doing just that, working? Given all the distractions that employees can have behind the wheel, more and more employers are making sure that both productivity and safety are not overlooked. 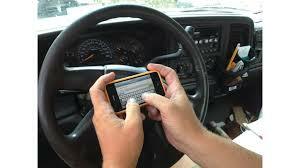 According to a 2012 report produced by research firm Aberdeen Group, more than 35 percent of businesses that require employees to make service calls in company vehicles monitor the real-time locale of workers through their hand-held devices or company vehicles. That said, some states have forbidden businesses from using devices such as GPS to track where their workers are at – unless the employees provide consent for such activities. Elsewhere, other states (through court rulings) do not prohibit employers from checking in on their workers when they are behind the wheel of a company-owned car or truck. While most employers would agree that the safety of their employees is front and center, they also want productivity out of those using company vehicles. Whether it is meeting with a client or attending a worthwhile event, many employees must get out of the office during the day for work-related business. With that in mind, technology in company vehicles is becoming more and more of a focal point. More employers are looking at how to safely integrate technology into company vehicles, permitting employees to get work done while out on the road without sacrificing safety. One such way to go about this is Android integration into cars. During a January press event at CES 2014 in Las Vegas, Google announced that automakers Audi, GM, Honda, Hyundai, along with chip producer Nvidia, would be forming a partnership in order to make Android available to vehicles. For those not aware, the partnership between the automakers and Nvidia utilizes a platform that a sizable number of those behind the wheel and developers are familiar with. The alliance will allow automakers the ability to use an open ecosystem, while permitting programmers to simply form new apps that are specifically situated for usage in vehicles, including those that employees may use. From communicating with home offices to reducing time spent dealing with traffic congestion/road work on the way to meet with a client, better access to information while behind the wheel can only enhance one’s experience in a company vehicle. Properly using technology in the vehicle – Even though there are instances where your drivers will need to use cell phones, laptops etc. in the company vehicles, they should not distract the employee from his or her main goal, proper driving. Require your employees to use a headset (not hand-held) phone if they need to communicate with you or a client while behind the wheel. They should also not be using a laptop in the vehicle unless parked somewhere (that does not mean at a stop light). With mobile devices changing the way millions and millions of people do life on a daily basis, it is important for business owners to be at the forefront of these changes. Face it, not being at the front edge of mobile technology can put your business in the back seat when it comes to what customers want.